Lumbini is in Nepal. but it is better reached from parts of India. 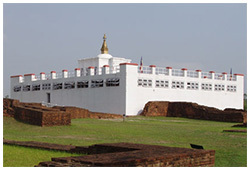 It the place where Buddha was born, and hence it is the first point of the Buddha pilgrimage circuit. It is a heritage site by UNESCO, and can be easily reached by a car or bus from Gorakhpur of India. Ashoka the Great had also made a pillar here, stating that Buddha was born here. You will also find ruins of earstwhile dynasties. 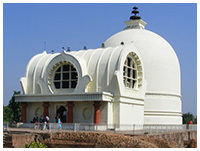 Visit http://www.indiatravelcompanion.com/uttar_pradesh/kapilavastu_and_lumbini For more travel information and how to plan your visit. 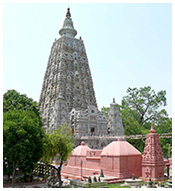 Bodhgaya is the place where Buddha sat under the Bodhi for 49 days and attained Nirvana. This is where Buddha attained the state of the Enlightened one, and hence this place holds a very special place in every Buddhist's heart. Offshoot of the same tree, under which Buddha meditated is still there.To know about Bodhgaya, how to travel an where to stay, visit http://www.indiatravelcompanion.com/bihar/bodhgaya One also visits neighboring Rajgirh and Nalanda. Some makes Rajgirh as their base. 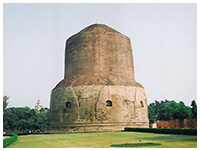 Sarnath is the place where Buddha gave his first Sermon. In memory of the same, a huge stupa, the Dhamek stupa, has been built here in historic times. It is forth six meters high, with an octagonal base, signifying the eight fold paths of Buddha. The lower part is stone, while the upper part is bricks, and is a sight to behold. Sarnath is close to Varanasi, oldest living city of the world. Know more about the place and where to stay at http://www.indiatravelcompanion.com/uttar_pradesh/sarnath. Buddha died here and hence this forms the last visit of the Buddha circuit. It is a place of Archaeological importance as well, owing to the large number of excavations and the artifacts found. A temple has been built by the Burmese, which also has a 20 feet long Buddha on his death bed. More about the place, how to reach and where to stay, at http://www.indiatravelcompanion.com/uttar_pradesh/kushinagar. Though it is customary to take the trip at the time of Vesak or Buddha Jayanti, the weather is quite unaccommodating at this time, with the mercury soaring. One would do well to plan their visit anytime between November to February.